When you invest in dental insurance coverage, your Parker dentist, Rodney L. Allen, DDS, and his dedicated team want to help you make the most of these benefits. 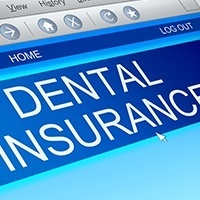 In our dentistry practice, we are happy to process and file dental insurance claims for most PPO insurance providers, and we offer in-network coverage for a number of benefit plans, including Delta Dental. When we schedule your first visit, one of our knowledgeable team members will ask you to provide insurance information whether you have Delta Dental coverage or any other PPO plan, so we can start to maximize benefits from your very first appointment. If you ever have questions about your insurance coverage, please don’t hesitate to give our team a call. If we don’t have the information immediately, we will track down the answers to your questions as soon as possible. Delta Dental insurance offers coverage through a preferred provider network (PPO). 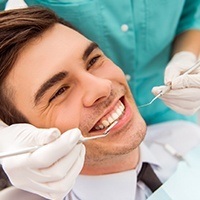 These plans are created to offer patients flexibility in choosing their dentists and dental services. Each plan is different, but in most cases, patients receive 80 to 100% coverage for preventive dental care. This encourages patients to keep up with their regular preventive care to maximize insurance coverage and helps patients to keep their smiles healthy. Restorative services typically receive 50 to 80% coverage. The more conservative treatments like fillings typically receive the most coverage and more advanced treatments like dentures and root canals receive lower coverage. Delta Dental also offers coverage for a variety of other treatments like orthodontics, sportsguards, mouthguards for teeth grinding and clenching, and other miscellaneous services that receive 20 to 70% coverage. The best way to maximize your coverage is by keeping up with your at-home hygiene routine and regular preventive dentistry appointments twice a year. This minimizes your risk for more advanced oral health concerns that need treatments that receive a lower percentage of insurance coverage. Another important way to maximize your insurance coverage is to choose an in-network dental office. We know about treatment cost maximums, and we have an agreement to charge fees that fall below the maximum pricing set by Delta dental. That means you’ll have the lowest out of pocket costs. Our team can help you make the most of your annual coverage maximums as well. Most Delta Dental plans offer between $1000 and $1500 worth of coverage each year, so if you need a more advanced treatment, we’ll do our best to help you spread the cost of treatment between two plan years. Because our office has an existing relationship with Delta Dental, we usually know what treatments are covered and the percentage of coverage you can receive. However, we also have shorter time between preauthorization or preapproval requests and responses. That means you can count on our team to offer accurate estimates for out of pocket treatment costs.